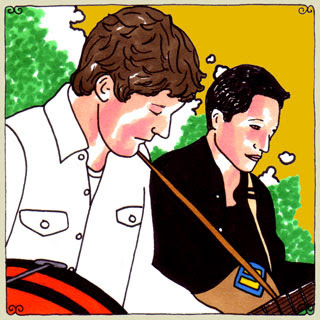 My favorite new band of 2010 is the Freelance Whales and they did a pretty sweet acoustic session at Daytrotter. I can't recommend this band enough. It's worth noting that this band is made up of about five 20 year olds, so they have a lot of time to grow. On the record, their voices sound a lot more polished, mostly because there are some "effects" over them.